The concept of the Absolute is related to the concepts of Truth and Deity in Theosophical Philosophy. There is no concept of a personal extra-cosmic God in Theosophy. Instead, the concept of the Absolute in some manner suggests the ALL, the ONE and the Sourceless Source of all life. The Absolute receives no prayer-requests and plays no favorites but instead is the groundless ground, so to speak, from which all life can be traced. The Absolute is the source of Law and Life in the universe and represents the ultimate reality. To render these ideas clearer to the general reader, let him set out with the postulate that there is one absolute Reality which antecedes all manifested, conditioned, being. This Infinite and Eternal Cause — dimly formulated in the “Unconscious” and “Unknowable” of current European philosophy — is the rootless root of “all that was, is, or ever shall be.” It is of course devoid of all attributes and is essentially without any relation to manifested, finite Being. It is “Be-ness” rather than Being (in Sanskrit, Sat), and is beyond all thought or speculation. “… the inner man is the only God we can have cognizance of. And how can this be otherwise? Grant us our postulate that God is a universally diffused, infinite principle, and how can man alone escape from being soaked through by, and in, the Deity? We call our “Father in heaven” that deific essence of which we are cognizant within us, in our heart and spiritual consciousness, and which has nothing to do with the anthropomorphic conception we may form of it in our physical brain or its fancy: “Know ye not that ye are the temple of God, and that the spirit of (the absolute) God dwelleth in you?” Yet, let no man anthropomorphise that essence in us. Let no Theosophist, if he would hold to divine, not human truth, say that this “God in secret” listens to, or is distinct from, either finite man or the infinite essence—for all are one.” Key To Theosophy, Section 5. There is no better place to go for a comprehensive treatment of the Absolute than to H.P.B., so we will attempt to trace here an outline of the concepts related to it, using her own words. We will begin with the metaphysical and finish in the practical, demonstrating that these key concepts are far more than mere intellectual nourishment for the philosophers, but that they lead naturally to the most practical path. The above provides a wonderful starter to our investigation of just what is meant when Theosophists use the term Absolute. We must realize though, that this “unrevealed Deity” is not equivalent to the Monotheistic God of any religion. “The Buddhists maintained that there is no Creator, but an infinitude of creative powers, which collectively form the one eternal substance, the essence of which is inscrutable — hence not a subject for speculation for any true philosopher. Socrates invariably refused to argue upon the mystery of universal being, yet no one would ever have thought of charging him with atheism, except those who were bent upon his destruction. “The fact of choosing a deity among the pagan gods and making of it a special national God, to call upon it as the “One living God,” the “God of Gods,” and then proclaim this worship Monotheistic, does not change it into the ONE Principle whose “Unity admits not of multiplication, change, or form,” especially in the case of a priapic deity, as Jehovah now demonstrated to be.” — Secret Doctrine, Volume 1, Proem, page 6 fn. “Parabrahm is, in short, the collective aggregate of Kosmos in its infinity and eternity, the “THAT” and “THIS” to which distributive aggregates can not be applied. 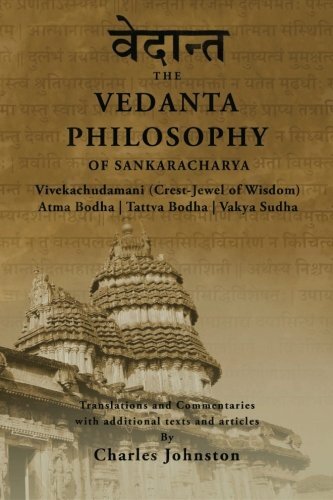 “In the beginning THIS was the Self, one only” (Aitareya Upanishad); the great Sankaracharya, explains that “THIS” referred to the Universe (Jagat); the sense of the words, “In the beginning,” meaning before the reproduction of the phenomenal Universe. Thus we see that the Absolute is not, and cannot be, a creator. It IS, always, as it is the Totality. “”What is that which was, is, and will be, whether there is a Universe or not; whether there be gods or none?” asks the esoteric Senzar Catechism. And the answer made is – SPACE. “Parabrahm (the One Reality, the Absolute) is the field of Absolute Consciousness, i.e., that Essence which is out of all relation to conditioned existence, and of which conscious existence is a conditioned symbol. But once that we pass in thought from this (to us) Absolute Negation, duality supervenes in the contrast of Spirit (or consciousness) and Matter, Subject and Object. Thus when HPB says that the Absolute has two or even three aspects, we must not fall into the error of imagining that it is in any way separated into these. From our limited perspective, we can recognize these aspects through their role in manifestation and surmise that they are essential aspects of the Absolute, but the Absolute per se remains always ONE. “The Secret Doctrine teaches the progressive development of everything, worlds as well as atoms; and this stupendous development has neither conceivable beginning nor imaginable end. Our “Universe” is only one of an infinite number of Universes, all of them “Sons of Necessity,” because links in the great Cosmic chain of Universes, each one standing in the relation of an effect as regards its predecessor, and being a cause as regards its successor. But this eternal reality is not something to be intellectually understood (or described). Instead, it is to be realized. “It is only “with a mind clear and undarkened by personality, and an assimilation of the merit of manifold existences devoted to being in its collectivity (the whole living and sentient Universe),” that one gets rid of personal existence, merging into, becoming one with, the Absolute,* and continuing in full possession of Paramârtha. Thus, in Theosophy, as in all true religions (stripped of their “outward, human garments”), there is a call to realize the true essence of our SELF as one with the Absolute. “When he has ceased to hear the many, he may discern the ONE—the inner sound which kills the outer. “Saith the Great Law:—”In order to become the KNOWER of ALL SELF thou hast first of SELF to be the knower.” To reach the knowledge of that SELF, thou hast to give up Self to Non-Self, Being to Non-Being, and then thou canst repose between the wings of the GREAT BIRD. Aye, sweet is rest between the wings of that which is not born, nor dies, but is the AUM throughout eternal ages. “Before thou canst approach the foremost gate [of the Path] thou hast to learn to part thy body from thy mind, to dissipate the shadow, and to live in the eternal. For this, thou hast to live and breathe in all, as all that thou perceivest breathes in thee; to feel thyself abiding in all things, all things in SELF. “Withhold thy mind from all external objects, all external sights. Withhold internal images, lest on thy Soul-light a dark shadow they should cast. Thou art now in DHÂRANÂ, the sixth stage. When thou hast passed into the seventh, O happy one, thou shalt perceive no more the sacred three, for thou shalt have become that three thyself. Thyself and mind, like twins upon a line, the star which is thy goal, burns overhead. The three that dwell in glory and in bliss ineffable, now in the world of Maya have lost their names. They have become one star, the fire that burns but scorches not, that fire which is the Upadhi of the Flame. And this, O Yogi of success, is what men call Dhyâna, the right precursor of Samâdhi. Thus the Absolute is not solely an abstraction of metaphysics, but is the very goal of the most practical and natural path for Man. It is that which awaits us, that which we can once more Self-realize.